Leo Cosmetics is suitable for any eCommerce sites about cosmetics and beauty equipment. This layout is clean and smart with many effect when hover. Template design accentuate the refined style of goods sold. This template is fully functioned and provides an unlimited style variation. Its design is perfect for Cosmetics Shop, beauty Store, Nature Stores, Jewelry shop, Fashion Shop. 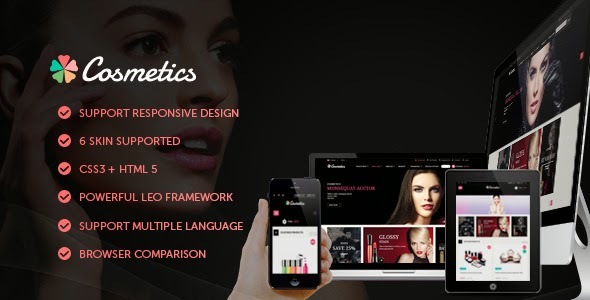 Item Reviewed: Leo Cosmetics Multipurpose Prestashop Theme 9 out of 10 based on 10 ratings. 9 user reviews.